Familiar to most Americans through the caricature lens of reality television (e.g. Jersey Shore and Mob Wives), Staten Island communities share a combination of sometimes contradictory cultural qualities that hampered their preparedness and recovery. For example, Staten Island has long been a community where cash is king, and home repairs and improvements do not often come with receipts, because the work is done by friends and social acquaintances. In good times this system functions as a type of moral economy, saving money and building community. However, the sheer destruction of the storm revealed the weakness of the system. Many of those repairs and improvements did not withstand the high winds and flooding, and the cost of investments in the home were difficult to substantiate. At the same time, some of these cultural qualities could have been better leveraged to support preparedness and recovery. Informants in my research frequently reported that in their view the most effective efforts were being made “by Staten Islanders, for Staten Islanders.” The positive cultural factors in Staten Island communities could not be properly activated and augmented in part because recovery agencies, at both the city and national level, were hampered by their own cultural biases. For example, one of the primary strategies for reaching affected homeowners was essentially passive: deploying the local Community Emergency Response Team (CERT) to distribute fliers with information pertaining to resources available at the FEMA-established base camp in Midland Beach. When resident after resident expressed bewilderment at being asked to leave their homes in order to present themselves to FEMA, the CERT team switched gears and began to deliver needed supplies directly to those affected. These early days and weeks of misunderstanding between residents and large organizations, at a time when people’s homes were so desperately in need of attention, resulted in crucial failures in resource distribution that persisted throughout the recovery process. In interpreting the ethnographic data gathered in my multi-year study of the aftermath of Sandy2, I have drawn on my own experience living and working on Staten Island for eight years, what I have learned from my close ties and daily observations of Staten Islanders of all descriptions. No significant literature exists on the culture of Staten Island. The local cultural insight required to analyze a localized recovery process can only come from purposefully and systematically engaging from the start with people who possess such local knowledge. It goes without saying that the problems described here are not limited to Staten Island or any single location. However, the experience of Staten Islanders with Sandy provides a good illustration of how potential cultural barriers manifest, even in an environment that responders and agencies may presume to be culturally similar to their own background. Cultural misunderstandings, and a general lack of attention to local culture by disaster-related agencies, has become an issue of much greater attention in recent years (see e.g. Browne 2015; Krüger, et al, 2015). But in practice agencies still struggle to incorporate local cultural understandings into their methods. This case—Sandy on Staten Island—will be used to illustrate how core cultural concepts can be utilized to better understand the impact of a disaster in a local community, and to pinpoint common areas of cultural gaps between this local community and disaster response and recovery institutions. It is easy to speak of culture in generalities, but difficult to define in practice, and even harder to operationalize. Even among anthropologists, who live and breathe culture, definitions and frameworks can vary. However, I will lay out here a few general principles that are very useful for speaking about culture with greater specificity and utility. This framework has multiple components, and in different situations, different aspects will be more significant than others. This framework is particularly useful in thinking about the role of culture in disasters, because unlike some frameworks, it considers the role of the environment in shaping culture. The figure suggests that the building blocks of culture (encompassing, for example, economics, social and family relations, and belief systems/ideologies) come into being through the needs of our brains to make sense of and adapt to our environment, and that although there is stability in culture, it is also an ongoing and dynamic process. Other important aspects of culture, for example, ritual behavior, are a kind of joint project of multiple layers, such as social organization and beliefs, though they may also be influenced by economy. Anthropologists have noted that in some societies, disasters, such as drought, have their place in the cultural framework of everyday life. Indeed, disasters may be “a normal part of the environment” in which people live (McCabe, 2002: p. 234; see also García-Acosta, 2002). In many cases, local cultural response systems provide the key to resilience in the face of disaster, especially when institutions fail to meet the needs of the affected communities (see Browne, 2015, the case of Hurricane Katrina). However, in cases where disaster is not built into the fabric of everyday life, and an underprepared local culture is challenged to accommodate and contextualize a major disaster, conflicts between these cultures and the cultures of disaster-response organizations can severely hamper the process of recovery, as well as hamper preparedness for future disasters. This was the case in 2012 in Staten Island, a place historically unfamiliar with the degree of havoc wrought by natural disasters such as Sandy. Some coastal residents were familiar with the regular ritual of small-scale basement flooding, for example. However, their familiarity gave the illusion that they could handle what was to come—waters that rose well above existing 100-year flood zones, wiping out entire neighborhoods. The failure to accurately evaluate and then accommodate the probable risks associated with the arrival of the storm, combined with the cultural conflicts between the residents and the institutions tasked with responding to their needs, very likely exacerbated the severity of the storm’s impact for many residents, both during and after the storm. One of the greatest challenges in disaster research is to understand the precise variables that lead to failure in a disaster-response process. It is easy to speak of “barriers to access.” And in some instances the problems are clear cases of poor planning, or structural failures on the parts of disaster response agencies. Many examples of such failures were in evidence in the case of Hurricane Katrina, where both the extent of the damage, as well as the services required by those impacted, were grossly underestimated and poorly executed. It is similarly tempting on the part of those institutions, as is common parlance in behavioral public health, to attempt to shift responsibility for those failures to the affected communities; these institutions appeal to a “responsibility framework” that treats as suspect people who may appear to be unable or unwilling to seek help in disaster circumstances. However, the experience of Staten Islanders following Sandy suggests an analytic middle ground that is in deep need of attention, by researchers and practitioners: Aspects of local culture can have significant influences on help-seeking behaviors, and thus long-term impact on the potential for resiliency of affected communities. At the same time, it is vital to recognize the longstanding political-economic relationships and ecological contexts in which local cultural patterns are embedded and to which people often have no choice but to adapt. As the examples below illustrate, it is typically the contrast between culturally based norms of behavior and expectations within communities, and those within responding institutions, which sets up conflicts and failures in the response and recovery processes (Browne 2015). These quotes are consistent with observed patterns in the dominant culture on Staten Island, patterns which would not have been surprising to a cultural insider, or even to anyone familiar with the notion that use of mental health services varies greatly across demographics. As with many failures to take into account local cultural tendencies, services should not be framed only in terms of anticipated need, but in terms of asking the question about potential culturally influenced variation in health-seeking behaviors. Additionally, while there is a significant local stigma placed on seeking mental health services, there is also a longstanding pattern of the use and abuse of prescription painkillers and other drugs on Staten Island. It is beyond the scope of this article to examine the potential interaction between these trends and the disaster response. But it is worth noting that the current opiate epidemic on Staten Island likewise has cultural roots. Among both those seeking treatment and general health practitioners, there is a far higher level of comfort with utilizing prescriptions to address problems that can be defined as physical in origin, rather than seeking counseling for problems of a social or psychological nature. Agencies seeking to evaluate the disaster recovery process in a context such as Staten Island may be tempted to dismiss people who are reluctant to seek services as unwilling or uninterested to take action to improve their own recovery. In doing so, these agencies fail to account for how local cultural biases or behavior patterns may form barriers to care-seeking. This perspective was represented by a DCM, contracted through FEMA, who stated, “Someone who did nothing, waited around for handouts, took no initiative to make themselves more resilient… [the process] cut off a lot of people who could really benefit from [federal] resources.” In practice, there were many reasons that the culture of Staten Islanders may have made them appear to outsiders as if they “took no initiative” to engage with unfamiliar sources of assistance. The local patterns apparent in the process of seeking, or not seeking, government financial assistance in general on Staten Island are also significant. Many long-term residents of Staten Island view themselves as highly autonomous with respect to their financial needs, and prefer to seek help from families and friends in time of need. In good times this behavior manifests itself in having members of these networks do home repairs and improvements that may not conform to building code standards. In times of need people can be reluctant to admit the severity of their situation to an institutional representative, or to someone they perceive to be a “stranger.” One agency informant (a Staten Island native) described a scenario in which an affected resident answered the door to a group of volunteers by asking “Are you from Staten Island?” before even discussing his potential needs. [Bureaucracy and outsourcing creates] “lack of follow-through, duplication of information requests” which creates frustration and confusion. “The agencies represent people in positions of trust – and it took time to really become effective” [Such that many residents were hesitant to trust to begin with, and then felt severely let down]. Staten Island has a rich network of local nonprofits that tend to serve very specific communities of need, many of which attempted to respond beyond their usual purview in the wake of Sandy. With better integration, these agencies’ local knowledge could have been leveraged much more successfully by disaster agencies, and they could have avoided much duplication of effort and misunderstandings. It is clear that in many instances lack of experience with both severe weather and responding agencies created barriers for Staten Islanders in recovery. However, Sandy was not the storm to hit the Island in recent memory. The experience of Tropical Storm Irene the year before led to a widely held belief among Staten Islanders that they were not particularly vulnerable to weather-related conditions. Irene, though severe in nearby New Jersey and upstate New York, caused little damage on the Island, and most people vocalized substantial skepticism when Mayor Bloomberg advised evacuation from coastal areas. Based on my interviews and observations, this response seems to be a combination of two strands of thought: 1) general skepticism, bordering on distrust for government, including the generalized belief that the government would have something to gain from a large-scale evacuation; and 2) storm-specific skepticism based on personal experience of Tropical Storm Irene. In both instances, what the government would have gained from ordering an “unnecessary” evacuation was not a specific thing, but rather a generalized sense that the Bloomberg government did not have Staten Islanders’ best interests at heart. Many storm survivors tended to express their analysis of risk through the primacy of their own personal experience, in spite of awareness of the previous year’s severe damage in other nearby locations. It was almost as if they had convinced themselves that even if areas around Staten Island might be damaged (as they were before), Staten Island itself would not be affected. There is also a distinct possibility that the previously strong prevalence among Staten Islanders of climate change denial may also have contributed to the lack of accurate risk analysis, though I do not have hard data on this relationship. The lack of awareness of potential vulnerability was also influenced for a number of people by the popular anecdote that looting that had occurred during and after Irene when more people had evacuated, returning home to find their homes burglarized. This response was well publicized in the days and weeks after Sandy. Several tragic examples were reported of families dying because they decided to remain to protect their homes (Weiner 2012). In 2016 local awareness and belief in their environmental vulnerability has shifted substantially for Staten Islanders. Their trust in the response systems apart from local nonprofit agencies, however, has not. Despite the persistence of the notion of following “lessons learned” within the professional disaster-response discourse, agencies responsible for disaster response are often one step behind in understanding the local culture and context. This poses a serious challenge when response action must, by necessity, unfold quickly, and the gathering of local cultural data is not within the typical expertise of responding agencies. At the same time, local agencies (nonprofits that provide housing-related services, food pantries, and immigrant services, many of which are faith-based) may be more culturally competent than disaster- and emergency- services agencies. But they do not usually have expertise in meeting specific disaster-related needs. They must learn that on the fly. As such, although the complementary knowledge bases may exist, they are often not effectively utilized, sometimes due to poor communication between agencies. The importance of the cultural landscape to a community’s ability to respond to a disaster is only just becoming a mainstream concept within disaster research and practice. The case of Sandy on Staten Island provides useful examples for illustrating the utility of this local knowledge to assess past disasters, and to prepare to respond for those in the future. The relevance of culture has been more accepted when working in international contexts, yet largely neglected by agencies operating within the United States. All communities, foreign and domestic, have culture. However, accessing this local knowledge continues to be a challenge in an applied context, especially for agencies that operate on a more regional, national, or even global scale. One of the most important aspects of “taking culture seriously” is to acknowledge that the way people think and act is rooted in cultures that have been built up over time within their local histories and environments. When these local cultures come into conflict with standard recovery procedures, for example, we must be prepared to bridge the gap with understanding, not dismiss cultural values that may conflict with conventional preparedness and recovery wisdom. We must also consider the likelihood that local cultures have built within them resilience qualities that are longer-standing at the community level than what we bring from our recovery and preparedness training and research. Local culture represents not only potential vulnerability but potential strength; when brought together with agency expertise, culture can improve the quality of preparedness and recovery. Brown, P. J. 1991. "Culture and the evolution of obesity" Human nature, 2(1), 31-57. Browne, K. E. 2015. Standing in the Need: Culture, Comfort, and Coming Home After Katrina, University of Texas Press. Button, G. 2010. Disaster culture: Knowledge and uncertainty in the wake of human and environmental catastrophe, Left Coast Press. Freudenburg, W. R. 1993. "Risk and recreancy: Weber, the division of labor, and the rationality of risk perceptions" Social Forces, 71(4), 909-932. Garcia-Acosta, V. 2002. Historical disaster research. In Catastrophe and Culture: The anthropology of disaster, Oliver-Smith, A., & Hoffman, S. M. (Eds.). J. Currey. 49-66. Harris, M. 1964. The nature of cultural things *(Vol. 5). Random House. Krüger, F., Bankoff, G., Cannon, T., Orlowski, B., & Schipper, E. L. F. (Eds.) 2015. *Cultures and disasters: understanding cultural framings in disaster risk reduction, Routledge. McCabe, J.T. 2002. Impact of and response to drought among Turkana Pastoralists. In Catastrophe and Culture: The anthropology of disaster. Oliver-Smith, A., & Hoffman, S. M. (Eds.). J. Currey. 213-236. Oliver-Smith, A., & Hoffman, S. M. (Eds.) 2002. Catastrophe and Culture: The anthropology of disaster, J. Currey. 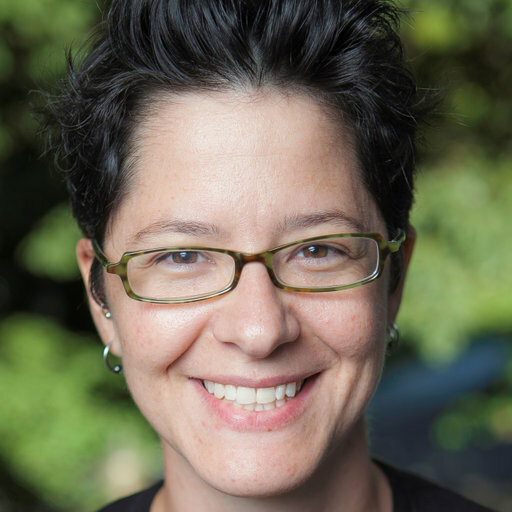 Alexa Dietrich is program director at the Social Science Research Council and an associate professor of anthropology at Wagner College. Her book, The Drug Company Next Door: Pollution, Jobs, and Community Health in Puerto Rico (NYU Press, 2013) won the Julian Steward Award for the best book in environmental anthropology in 2015.